Since morning mobile is continuously buzzing with women’s day messages & even jokes too. I’m not that person who is so fond of all these DAY’s celebrations. I don’t think we need any special day to celebrate our womanhood, love, friendship, motherhood………. When you bring a smile on someone’s face . When your words healed someone’s pain . When your kindness becomes someone’s strength . When you are the reason for someone’s happiness. Hey don’t think I’m against all these special days & this post is related to it. Who doesn’t like to feel special , loved…. 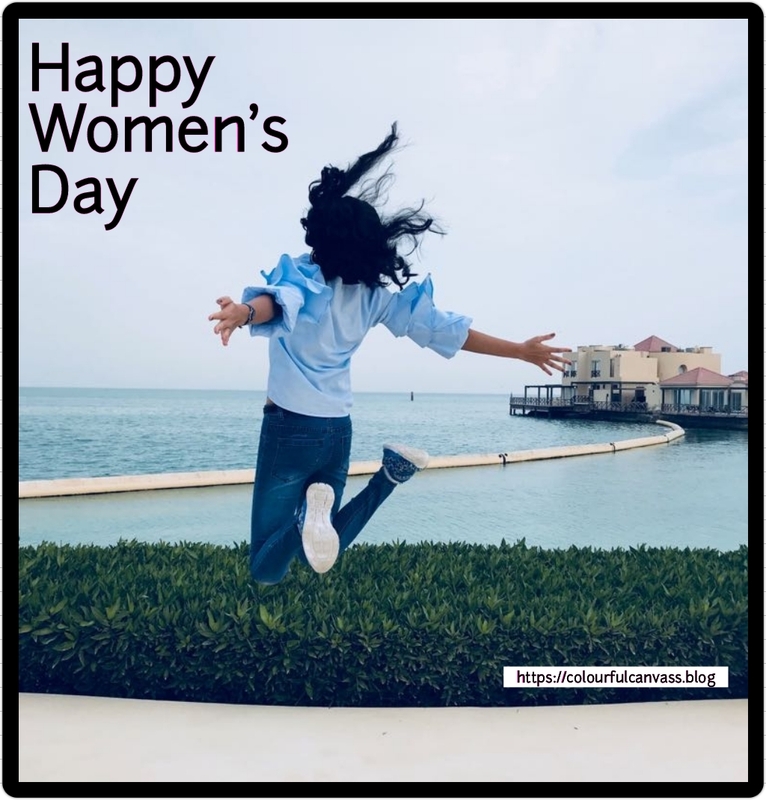 Love yourself, pamper yourself, go for shopping , eat what you like … .do whatever you want to do on this day but this time make this Women’s day little different by making it special for someone else too. But remember Your words are powerful but sometimes it can hurt someone. Many times conversation starts with unpleasant questions…. Omg, you have gained so much? you look so thin? what happened to your skin?? r u working? ?….blah blah👹👹. These questions seems so simple, curious & caring but can really hurt someone. Everyone wants perfect skin, hair & lifestyle but little imperfection in that person doesn’t mean you have a right to ask these questions up front. Ask when you think that person is very close to you & ready to share her problem. So always start your conversation on positive note. don’t find single reason to disgrace. 3. Girls….. Are you planning lunch/dinner with your friends continue with it but while coming back pack few food items & give SURPRISE your maid/lady worker/nanny. Let this food be her special treat to her family for her daily hard work . 4. Instead of buying chocolates buy books & stationary for poor school girls so that they will always remember this KINDNESS to become strong woman one day. 6. Are you Pampering yourself in spa or salon today…..you must!.. Healthy mind in a healthy body so enjoy it. Buy few caps / scarves for lady workers on the road & DONATE . So these things will give little protection to their skin from scorching heat. 5. Gratitude , say thanks & let them understand their importance in your life. Respect every woman in spite of her position. Stop judging by her profession. as only Woman can inspire other Woman more. So do it more often girls ………. ©2017-2018 Bhavana, Colourfulcanvas, All Rights Reserved. A woman can do more for her kind by being more compassionate. Beautiful inspiring words Bhavana !! I especially loved the ” Celebrate That Day ,When you bring a smile on someone’s face …..” .Great post! Thanks Subbashini. Each day has to be celebrated by helping others. Agree with you! It is all about how well you treat yourself…and not just on a single day! Thanks you so much for your thoughtful reflection.